It is impossible to become a millionaire overnight unless you end up winning a lottery. That’s a different scenario altogether. However, you can still build wealth by educating yourself and getting a proper understanding of how the financial system works. With strong dedication and hard work, you will be able to invest money wisely. It isn’t only about saving money. In truth, there’s much more to it. In this article, we are going to share with you eight tips for investing money to build real wealth. The first tip you must start following is to automate your finances. This includes sending money automatically to your investment accounts, savings accounts and other places that follows a plan you have made. By doing so, you will be able to build wealth gradually. All you need to do is to link your account to your investment and savings accounts. Once you have completed that, then the paycheck will directly go into that particular account. You can also set up a specific day and amount to transfer. Another advantage of automating your finances is so that you do not need to worry whether you have paid the bills or not. One mistake we often perform is making small purchases daily. For instance, some people grab coffee every day while some spend money on other things. Imagine spending $1.43 every day. It doesn’t sound like a lot, but over a week it amounts to $10, and for a month it’s nearly $43. Instead, try to make coffee at home, take it to the work and save up this money for your investment account. We all use money on our expenses without realizing how much it can add up to over months and years. To build wealth, it’s necessary to track and record your expenses. You cannot generate wealth if more money is leaving your account than what is coming in. There are a handful of apps available like Mint, Personal, and Level Money. Give one of them a try and see how they can help you! Alternatively, if you are not interested in getting an app, then have a spreadsheet or merely jot down all the expenses in the notebook or your phone. One thing that often becomes an obstacle to wealth-building is old debts, credit card debts, mortgages, or otherwise. It prevents you from save money, since instead you are forced to pay interest on your debt each and every month. If you have some debts that are due, then the first thing you should do is to pay it all down as fast as you can. Next, remember to limit the credit card debt you ever allow yourself to take on. With the right use, credit cards can be beneficial, but if you overuse them, they will create problems for you. Investing in the stock markets is an excellent way to build wealth over the long-term. As with all investments, the golden rule is to try to buy low and sell high. Today, a lot of youngsters are into the stock market, and some have even made good money from it. However, make sure you educate and learn to trade yourself before you jump into any kind of stock investments. Remember that it’s as easy to lose money as it is to make money! One reason people are unable to achieve what they want in life is because they are not specific about their goals. 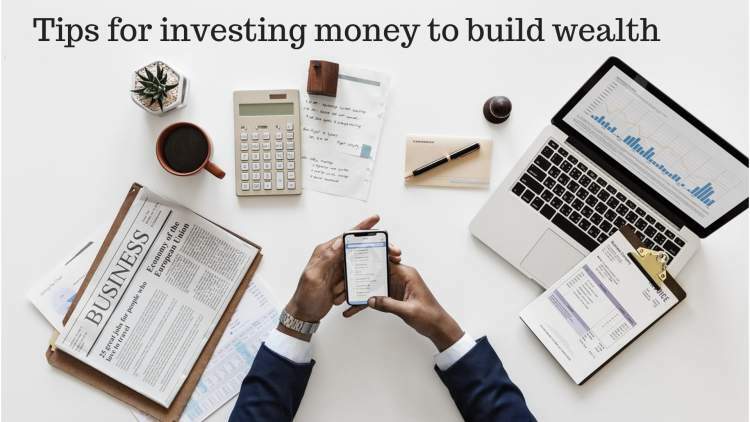 If you wish to build wealth, then you first need to make a plan for how you are going to make the money, and then figure out realistically how much that can bring in for you. Start by writing down your income goals. Also, write down your current income and net worth so that you are able to figure out how to realistically achieve your goals. Cryptocurrency investments are among the hottest thing in the market right now, and it’s working out very well for some people. Although many still consider crypto to be an extremely risky investment, the asset is gaining acceptance and popularity among mainstream investors as well. Educate yourself on the opportunity cryptocurrencies represent, and then decide how much you can afford to put aside for at least a few years. Remember that crypto is still risky, but over the long-term, this asset class is likely to rise dramatically in value. It’s never too late to start investing and securing your future. Building wealth requires a lot of attention, discipline, and good strategies. So, go ahead and start investing for your own future now!